Professor Olumuyiwa Adewale Noah Has Been Re-Elected/Appointed as Deputy Vice Chancellor (Academics) by the Lagos State University, LASU for Another Two Years. 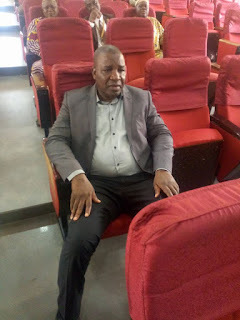 The Senate of Lagos State University has re-elected Prof. Olumuyiwa Adewale Noah as Deputy Vice Chancellor (Academics) for a period of two (2) years. Prof. Noah defeated the Head of Campus, LASU Epe Campus, Prof. Oguntola-Laguda Danoye in an election held on Monday, 27th August, 2018 at the 3-in-1 Building, Faculty of Education, Main Campus, Ojo. He has since been congratulated by the Vice Chancellor, Prof. Olanrewaju Fagbohun, who chaired the election. Also Professor Harrison Adeniyi, Department of African Languages and Communication Arts, Faculty of Arts, Lagos State University has been elected the Dean, Faculty of Arts. The appointment is for a period of two (2) years, with effect from Wednesday, 1st August, 2018. The Vice-Chancellor has since congratulated Professor Adeniyi on this new appointment.